Timothy Jost retired as the Robert L. Willett Family Professorship of Law at the Washington and Lee University School of Law. Prior to coming to Washington and Lee in 2001, Mr. Timothy Jost taught for twenty years at Ohio State University where he held appointments in the law and medical schools and the Newton D. Baker, Baker and Hostetler Chair. He has also taught courses at Virginia, Houston, Oxford, Toronto, Osgoode Hall (York), and Göttingen. Timothy Jost was the recipient of two Fulbright grants, a Western European Research Grant in 1989 and a grant to study in Germany in 1996 and 1997. He is a co-author of a casebook, Health Law, used widely throughout the United States since 1989 in teaching health law, and of a treatise and hornbook by the same name. He is also the author of Health Care Coverage Determinations: An International Comparative Study; Disentitlement? The Threats Facing our Public Health Care Programs and a Rights-Based Response; and Readings in Comparative Health Law and Bioethics. 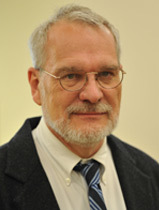 He is also the author of Health Care at Risk, A Critique of the Consumer-Driven Movement; Health Care Coverage Determinations: An International Comparative Study, Readings in Comparative Health Law and Bioethics; Medicare and Medicaid Fraud and Abuse; and Regulation of the Health Care Professions. He also co-authored a casebook on property law. Mr. Timothy Jost has published over 150 monographs, articles, and book chapters on health care regulation and comparative health law and policy in law, medicine, and health policy journals. He edits two Social Science Research Network electronic journals and serves on the editorial boards of several print journals. He has participated in symposia and given presentations at Harvard, Yale, Chicago, Columbia, New York University, Texas, Virginia, Princeton, Georgetown, George Washington, Saint Louis, Indiana, Loyola Chicago, Case Western Reserve, Toronto, Alberta, and Chengdu and Tsinghua University in China. He has also spoken frequently at health reform conferences and at congressional and media briefings. He is interviewed regularly by the print and broadcast media and has been quoted in the Wall Street Journal, New York Times, Associated Press, Washington Post, Reuters, Politico, the Hill, NPR, and the Guardian, as well as in the trade press and regional newspapers. Mr. Jost blogs regularly for Health Affairs, the nation’s leading health policy journal. In his widely read blog posts, he has analyzed virtually every rule and guidance issued by the Departments of Health and Human Services, Labor, and Treasury implementing Title I of the Affordable Care Act, as well as on many of the court cases involving the Affordable Care Act. Three of Mr. Timothy Jost’s blog posts made the list of the ten most-read Health Affairs blog posts of 2011, with his post on the Eleventh Circuit’s Affordable Care Act case taking the number one spot. The New England Journal of Medicine regularly publishes Mr. Jost’s Perspectives columns. Mr. Jost is an elected member of the Institute of Medicine, the American Law Institute, and the National Academy of Social Insurance, and a member of the American Society of Law and Medicine, and the American Health Lawyers Association, the American Society of Comparative Law, and the American Bar Association. He is also a funded consumer representative to the National Association of Insurance Commissioners. Virtually every developed country is facing rapidly rising health care costs. There is a widespread consensus that the primary factor driving health care cost growth in most countries is the continual development and diffusion of new, and generally more expensive, health care technologies. Health Care Coverage Determinations describes and analyzes the institutions and procedures that eight developed countries are using to assess health care technologies as they struggle to determine whether to pay for those technologies through public insurance programs or to lay some of these costs at the feet of the consumer. Readings in Comparative Health Law and Bioethics presents balanced comparative coverage of the four major areas of health law: health care organization and finance, the obligations of health care professionals and institutions to patients, bioethics, and public health law. For each of these topics, it presents a carefully edited collection of cases, statutes, and readings. While the book contains many sources from English-speaking, common-law jurisdictions, it also includes a wealth of sources from continental Europe and Japan, as well as from developing countries. Several sources have been translated specifically for this book. Whenever possible, the readings are by authors from the countries whose laws are discussed in the reading. Also, most readings are truly comparative; that is, they analyze the laws of not just one, but of several jurisdictions. While this book is intended in part to inform health policy, it is not just another book about comparative health policy. Rather, Jost focuses uniquely on comparative health law - how law, legal systems, and legal institutions influence health care recipients, professionals, institutions, and systems. Thus, for example, this book is not so much concerned with how various health care systems ration care as it is with the role of the courts or of administrative agencies in health care rationing. This is the first book to offer a text for teaching courses in comparative health law and bioethics in American law, public health, medical or nursing schools. It is also ideally suited for the comparative emphasis of summer courses abroad or for anyone interested in comparative health law. In Health Care at Risk Timothy Stoltzfus Jost, a leading expert in health law, weighs in on consumer-driven health care (CDHC), which many policymakers and analysts are promoting as the answer to the severe access, cost, and quality problems afflicting the American health care system. The idea behind CDHC is simple: consumers should be encouraged to save for medical care with health savings accounts, rely on these accounts to cover routine medical expenses, and turn to insurance only to cover catastrophic medical events. Advocates of consumer-driven health care believe that if consumers are spending their own money on medical care, they will purchase only services with real value to them. Jost contends that supporters of CDHC rely on oversimplified ideas about health care, health care systems, economics, and human nature. In this concise, straightforward analysis, Jost challenges the historical and theoretical assumptions on which the consumer-driven health care movement is based and reexamines the empirical evidence that it claims as support. He traces the histories of both private health insurance in the United States and the CDHC movement. The idea animating the drive for consumer-driven health care is that the fundamental problem with the American health care system is what economists call "moral hazard," the risk that consumers overuse services for which they do not bear the cost. Jost reveals moral hazard as an inadequate explanation of the complex problems plaguing the American health care system, and he points to troubling legal and ethical issues raised by CDHC. He describes how other countries have achieved universal access to high-quality health care at lower cost, without relying extensively on cost sharing, and he concludes with a proposal for how the United States might do the same, incorporating aspects of CDHC while recognizing its limitations. This unique resource offers real-life scenarios and implementation insights for application of complex regulatory provisions. It is a comprehensive, practical guide to Medicare and Medicaid fraud and abuse. For more than two decades, Health Law: Cases, Materials and Problems has defined the field of health law, providing a balanced overview of law as it affects patients, professionals, institutions, and entities that deliver and finance U.S. health care. Health Law comprehensively treats topics concerns such as the oversight of quality (including the latest developments in patient safety), cost control (including consumer-directed health care), guarantees of adequate access to services, exempt-organization tax issues, transactions and relationships among health care professionals and providers, the Employee Retirement Income Security Act (ERISA), and malpractice litigation. Written without a policy bias to fairly reflect all viewpoints, the book considers legal and ethical issues involving death, human reproduction, medical treatment decision making, and medical research. It also explores the government's efforts to control costs and expand access through Medicare and Medicaid and examines government attempts to police anticompetitive activities, fraud, and abuse. Using carefully edited primary materials and effective classroom-tested problems, the book exposes students to the core issues in health law.